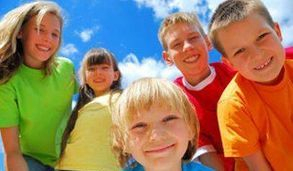 Nit Picky offers professional head lice removal services to families, schools and camps in Phoenix, Arizona and the surrounding metro cities. Our head lice specialist will come directly to your home or school to eradicate head lice in a safe and effective way. Nit Picky will conveniently come directly to your home to treat head lice. The service is discreet and our vehicles are unmarked to ensure your privacy. Nit Picky's non-toxic, pesticide free products are used during the treatment. During the lice treatment, we remove lice and (nits) eggs from the hair. Advice is provided about home treatment. Learn what to do and what not to do. Prevent future infestations with Nit Picky's professional aftercare regimen. Your child can return to school head lice free with our clearance certificate for the school nurse. No shampooing is required. Our product is safe and remains on the hair during the removal. Peace of mind, so that you can relax and focus on your family and what really matters.